May 2, 2015 1 of 1 found this helpful. This thing never jumped my car. Worked as a phone charger for a while then died. 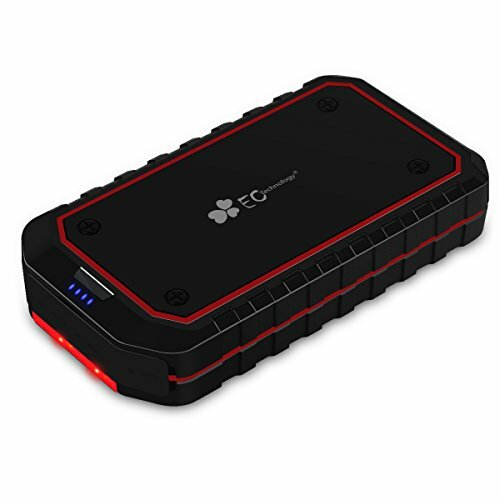 Power for your phone and car. 1 of the 9 total reviews for this product admitted to receiving a free or discounted product in exchange for a review. While we could not find a statistically significant difference between the average rating of incentivized reviews and non-incentivized reviews, the presences of at least one incentivized review indicates that there may be more, since not all reviewers will disclose that they had received an incentive to post a review. We counted 9 reviews for this product over the span of 572 days, an average of 0.0 reviews per day. If these reviews were created randomly, there would be a 99.9% chance that we would see 1 or fewer reviews on any given day. We didn't find any days exceeding this threshold.